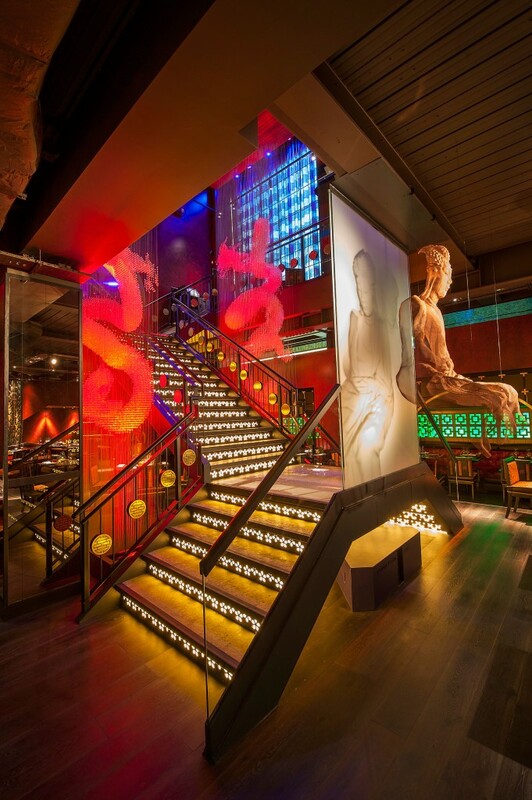 The world renowned Buddha Bar music and entertainment brand were looking for a dramatic lighting design for their flagship London restaurant. 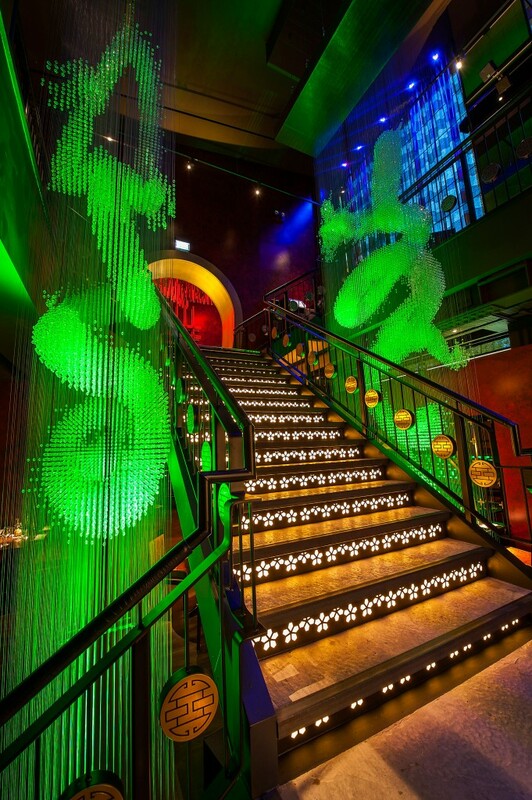 As part of this into designed the lighting for a Bar within the space on the upper level. 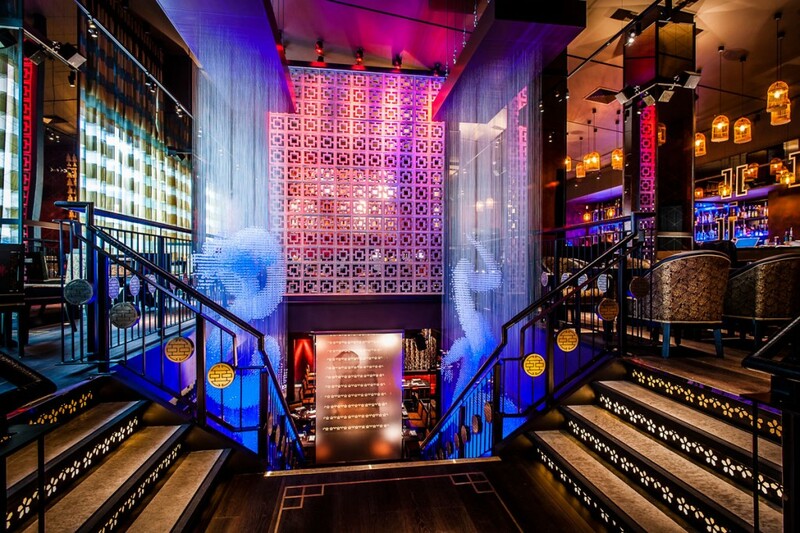 For an immediate visual impact, Tibbatts | Abel specified two bespoke crystal dragon chandeliers to hang through the main space from the ground floor to the basement floor. 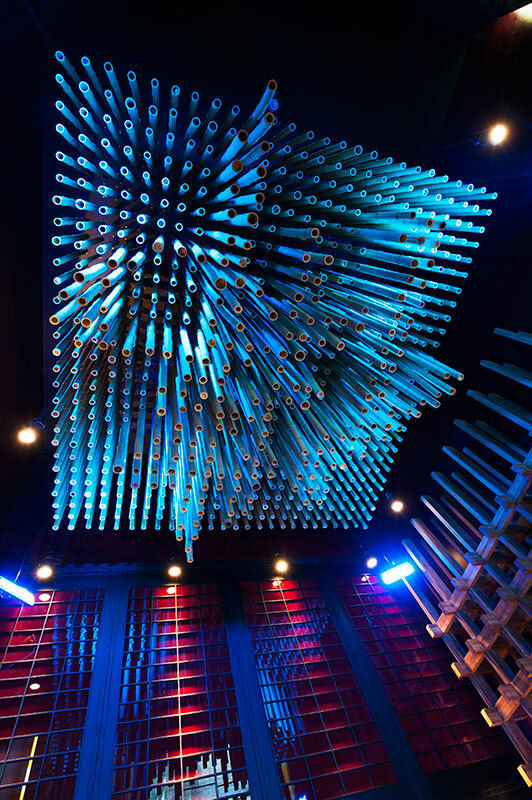 These were lit carefully with high-powered RGBW LED projectors from beneath, which have bespoke anti-glare louvres. The full height of the space with varied ceiling heights is lit considerately, and has low-glare halogen spotlights on track and drop rods from above. 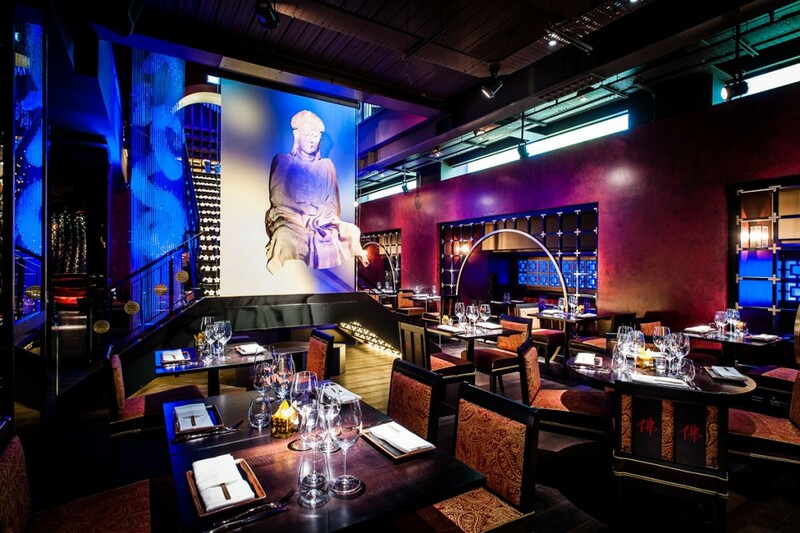 To the right of the dramatically lit entrance caged feature pendants highlight the bar area in a scatter effect on the ceiling, and inground uplights shine onto the facade of the bar itself. For complete flexibility for the client RGB LED colour-changing lighting throughout can be controlled from an LCD plate in the venue, providing control over all lighting scenes and theatrical effects. 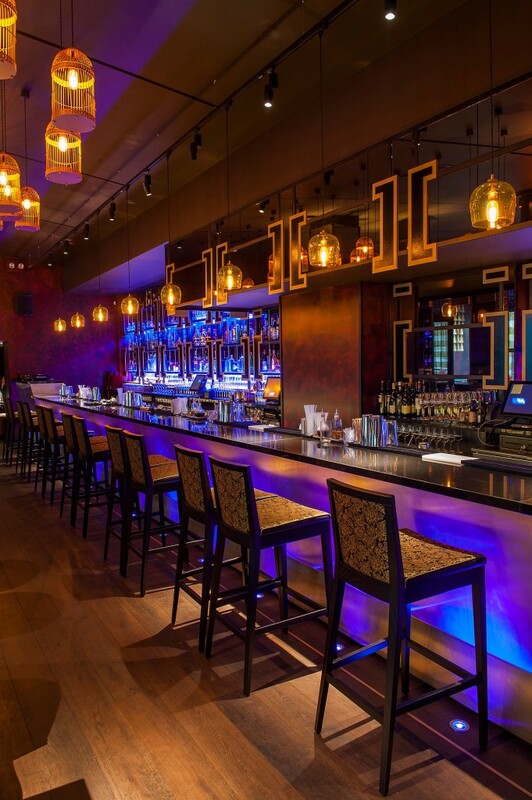 The bar area has it’s own lighting style, but suitably fits with the dramatics of the overall venue.